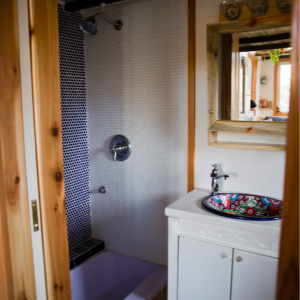 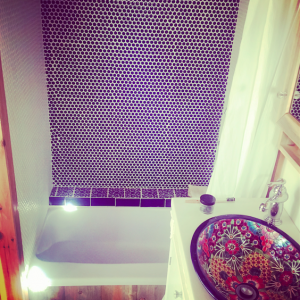 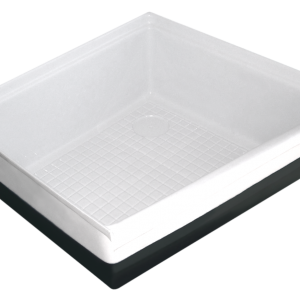 Shower pan and basin combo reduces spills, adds shelf space and storage underneath, and the small basin is perfect for bathing pets and small children. 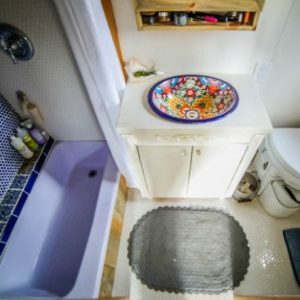 Could be used for a wet bath. 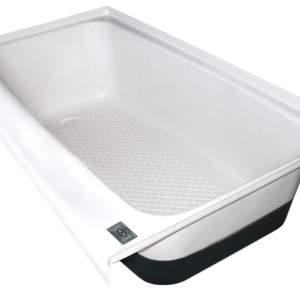 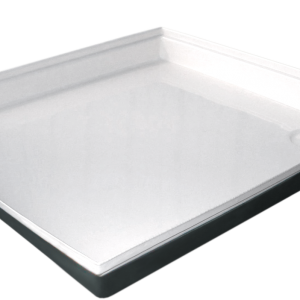 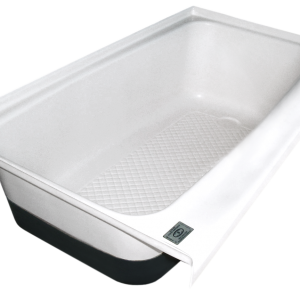 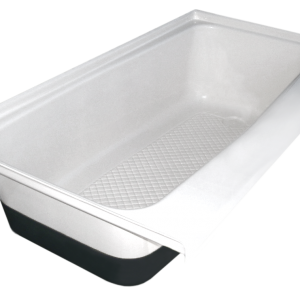 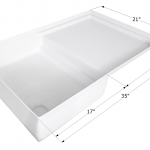 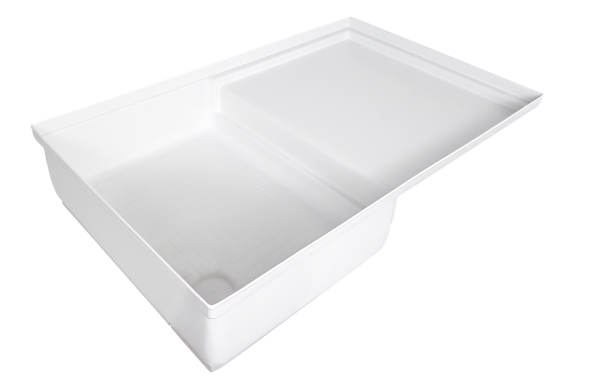 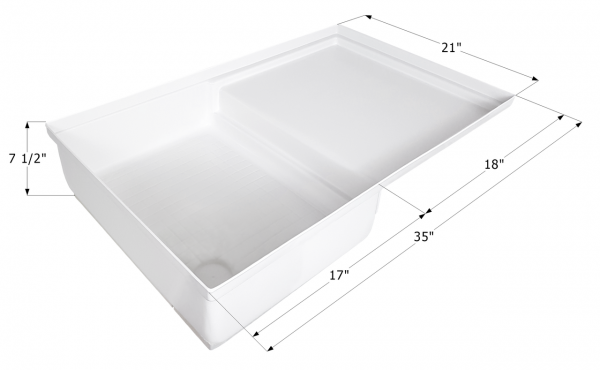 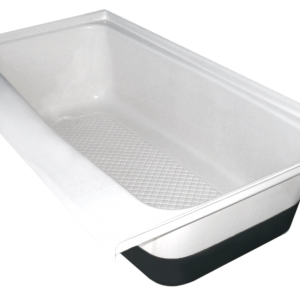 35″ x 21″ x 7 1/2″ – Combo shower pan for showers that include a toilet or stepped pan can allow for the installation of a holding tank directly under the shelf. 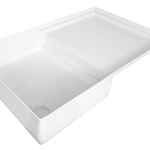 Pans are constructed of durable ABS plastic with reinforced bottoms for extra durability. Comes in Polar White.